Experts in building Fixed-Income Trading & Sales platform that includes pricing, trade capture, unified view across all the fixed income asset classes, namely Bonds, Treasuries, CDS, Asset-Backed, Money Funds etc. Trading Systems Euclid Innovations has re-invented the concept of a Multi-Asset trading platform with connectivity to multiple ECN like BondDesk, TradeWeb, Bloomberg etc. Viewing consolidated RISK & PnL across Treasuries, Bond-Futures & Bond-Option-Futures. Pricing Pricing for Fixed Income securities can be very complex, Euclid Innovations has the proven expertise in building an integrated market-data network that sources data from multiple destinations, like TradeWeb and BrokerTech . Having an internal pricing engine helps customers value their portfolio on a daily/weekly basis. Sales Ticketing One of the key success stories at Euclid Innovations has been building unified sales ticketing system that intelligently routes trade to the appropriate trading systems like Bloomberg, Calypso or any in-house system. This has resulted in huge savings to our clients as it eliminates the need to build and support multiple sales systems. Regulatory Euclid Innovations has always given prime focus on regulatory requirements while building trading systems like dodd frank, volcker mifid, emir requirements. Proven track record in building reliable high through-put, realtime trading systems, with automated order routing, multi-Product support, connectivity to multiple exchanges to trade Stocks, Options & Futures. Developed custom add-ons for enhanced electronic trading strategies and algorithmic trading. 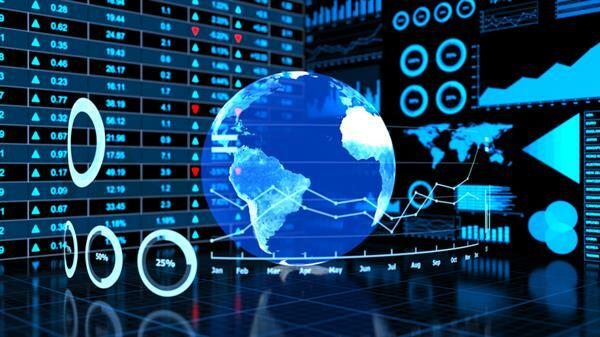 Trading Systems We have designed implemented and deployed large-scale trading systems with connectivity to multiple exchanges to trade equities, options and futures and customize them to meet proprietary trading strategies of our clients. We do not believe in “one size fits all” trading system. This is demonstrated by variety of systems we have implemented and in use at many of the broker-dealer firms. Market Data Integration We have worked with major market data vendors to integrate their market data into trading systems like Reuters, Active. We have implemented line-handlers that connect directly to several exchanges for market data including CME, CBOE/CBSX, ICE, eCBOT and NYSE. Algorithmic Trading We have developed various Algo’s like VWAP, Iceberg etc and integrated with the trading systems for our clients to analyze market data, market depths & to make automatic trading decisions. Once the decision is made the systems will submit the order to the exchange and manage the life of the order – for example canceling the order if market conditions change. Sales Routing Intelligent routing of orders from Sales to Traders has been a key success in large broker-dealers with huge sales desks. Traders make real-time changes to the rules and route order to the exchange or to the desk based on Industry, sector or size. Experts in building high performant risk engine based on directed acyclic graph architecture. Team Euclid has built solutions for clients in various risk areas. As the problem of risk / pricing needs to be solved for multiple asset classes in multiple contexts, Euclid has provide solutions to client in the following areas.